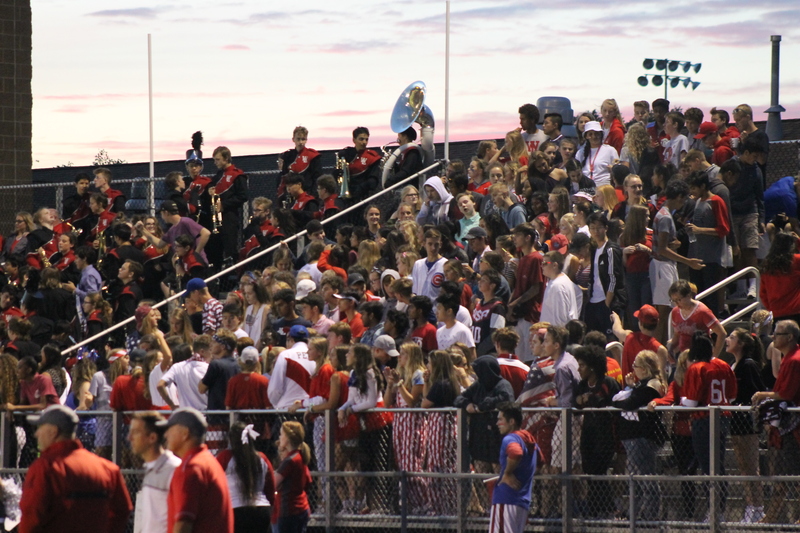 RED DEVIL PRIDE: The students watch the game with such passion and admiration. "Everyone was jumping around a lot cause we knew we were going to win, and good vibes were going round," Andrianna Psarros, 12, said. 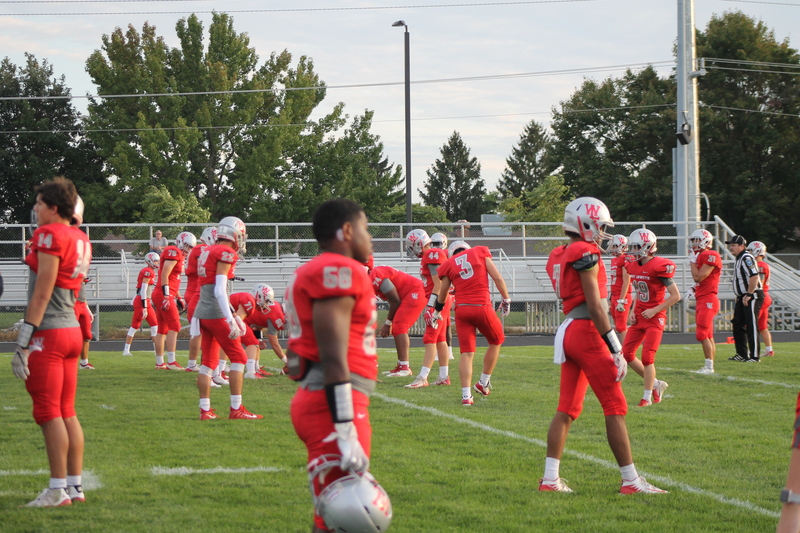 LINE UP: The football players warm up to play against Benton Central at the Starley Field. "It's exciting playing in front of the alumni and maintaining the respected status" Kyle Adams, 11, said. COTTON CANDY SKY: The weather was perfect and the sunset revealed a gorgeous pink sky for a beautoful night. "The players were very determined and made sure the opposing team knew it so overall it was a spectacular game," Ramisha Iqbal, 11, said. 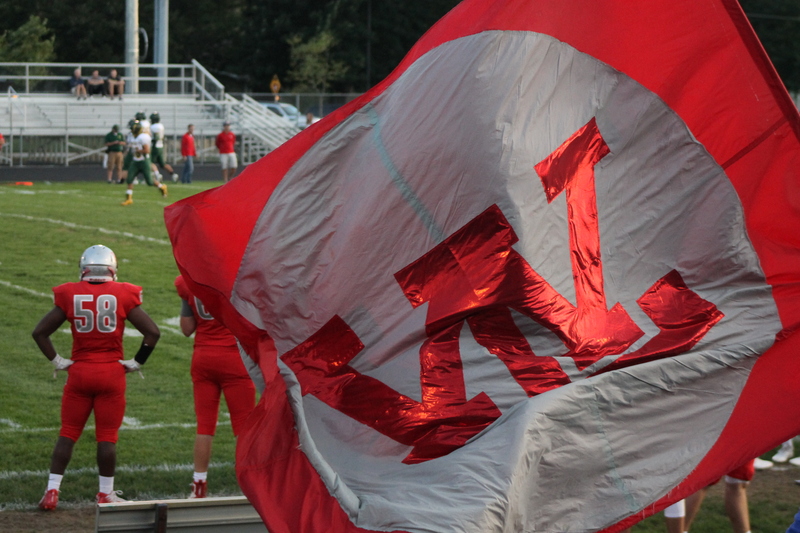 HEAD HELD HIGH: Due to the touchdown the Devils wave the flag across the bleachers. "Being on homecoming court was really enjoyable. My Partner Carter and I had a great time coming up with our handshake for the pep rally I always enjoy the homecoming festivities, given that I often see familiar faces of graduated west siders. It was a great experience overall." Victoria Sinfield, 12, said. 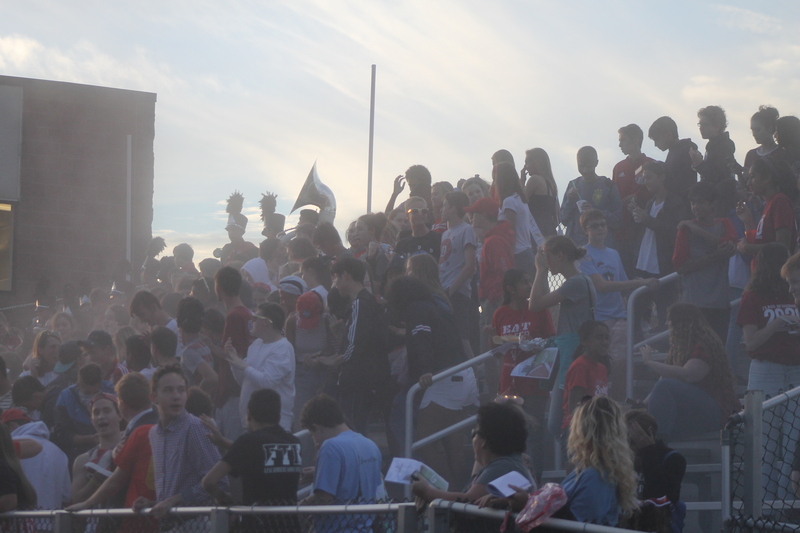 POWDER UP: The student section at the game threw baby powder up in the air to hype up the crowd. 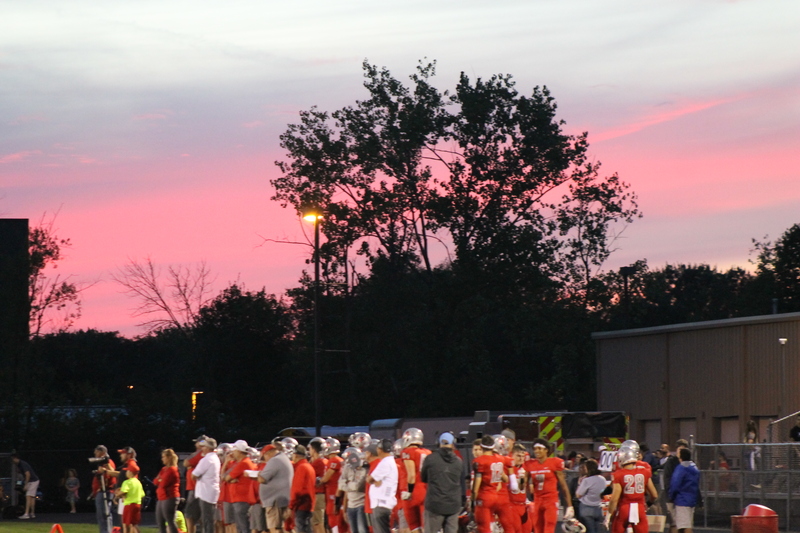 "The game was pretty exciting and I enjoyed the student section and their efforts to cheer our team, the homecoming parade was nice as well," Krishna Patel, 12, said.